Legend has it, that in 1759, 34 year-old Arthur Guinness gallantly rode through the gates on Dublin's James's Street with a dollar and dream to change the beer-making business for good. Of course, it didn’t happen overnight (nothing good ever does) but his faith and perseverance to revolutionize the brewing industry with a single dark porter has, of course, evolved into the beer mainstay it is today—especially this time of year for St. Patrick’s Day. 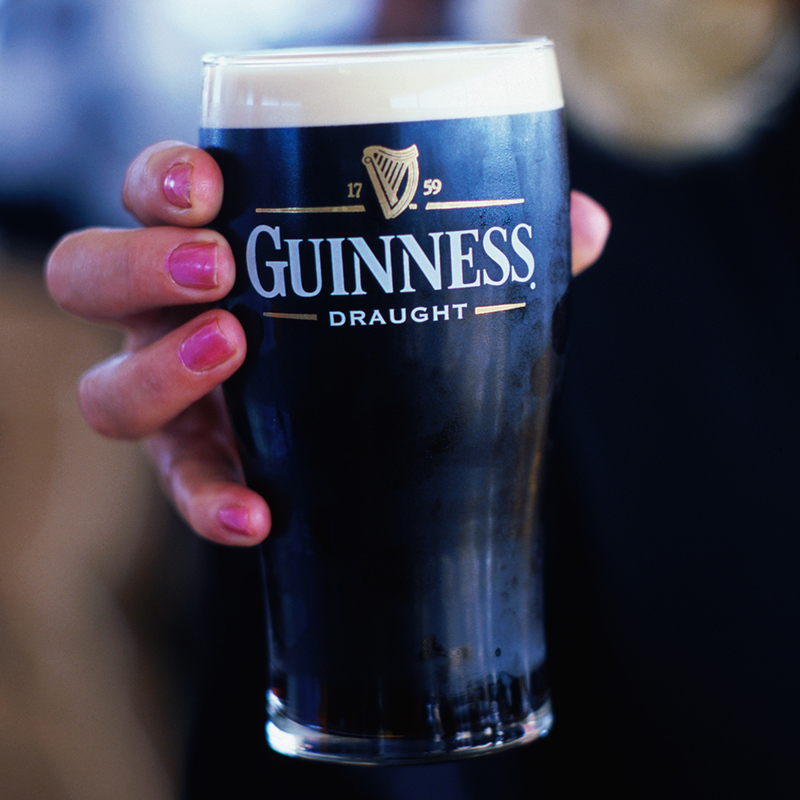 Now, more than 250 years later, Guinness is attempting a reinvention of sorts. Recently launched in the U.S and riding on the coattails of the American craft beer juggernaut, The Brewers Project has seen the release of several new beers in recent months. Part of that project means going back, way back in fact, to a time when beer was not only meant to drink, but to be used as a supplement to various recipes like beef stew and salmon. Born and raised Irish and with nearly 30 years into his culinary career, O’Connor, is not only incorporating Guinness variants into the menu, but he’s creating dishes specifically designed to strike a balance with the beer’s sweet, savory and sour counterparts. And the good news is, with St. Patrick’s Day right around the corner, now you can too. From spicy beef empanadas to salty scallops and poached asparagus, here are chef JOC’s recommendations for how and what to pair with the Guinness you’ll almost certainly be drinking at least one of this Saint Patrick’s Day. Strongest of the variants, the Foreign Extra is the brew I use most when making stews, casseroles, or gravy from roast meats. The strong roast and oaky flavor gives character to sauces and foods. The high level of hops also gives a floral scent to the dishes and the higher alcohol gives it a slight sweetness against the roast bitter flavor of the hops. I find this Guinness goes particularly well with spicy foods as strong roasting flavors blend well with the spices in the dish. “For me, the Dubliner Stout has the subtlest flavor of all the Guinness’s, and isn’t overpowering, which gives us great scope to explore foods. Hints of caramel with a smooth finish and slight burnt taste leaves the mouth dry for the next sip. This goes great with strong flavored foods or roasting and barbequing. So spicy BBQ food, which will give you hints of Guinness with the roast and burnt flavours you get from barbequing will naturally pair with the subtle flavors of the Dubliner Stout.